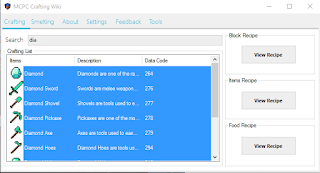 MCPC Crafting Wiki | The Software For Checking The Minecraft Crafting Recipes Portable! 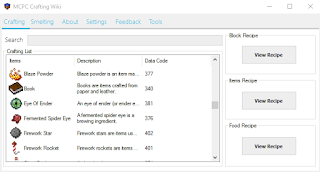 This is a software to see and checking list of crafting recipes in Minecraft. and then automatically opened the new form about how to crafting it. 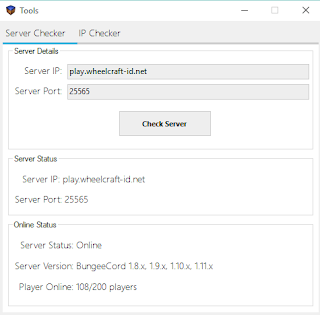 Available also a Server Checker features in the tab Tools, it's a functions for checking some Minecraft Server by IP and Port. The result will be shown is Stats Online, Server Version, and Player Online. 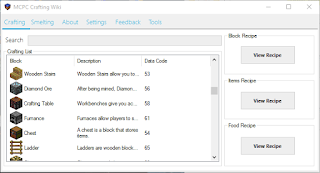 Q : How to check a crafting items or block or food? 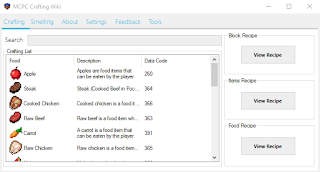 A : Just click a View Recipe Button in one of group category, and click that item. 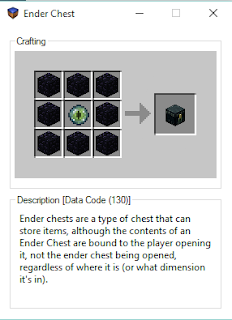 Then, it will be showing a new form crafting items. 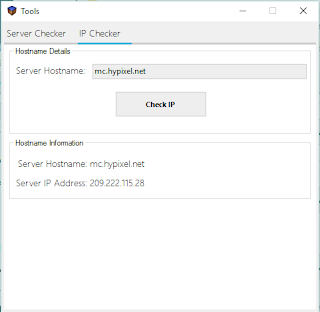 Q : How to use a Server Checker? A : Just click a tab Tools, insert your Server IP and Port (usually 25565) then click a Checking Server Button. Q : What excellence this software comparison Web Wiki? A : The excellence is, this software is a wiki portable. 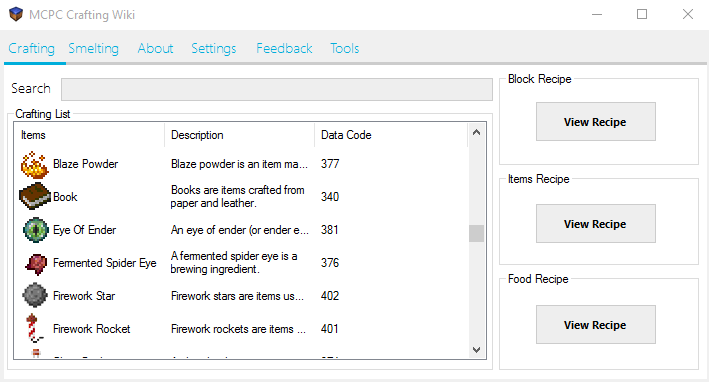 So you not must opening a wiki web to checking a crafting recipes. And one of make this software more better than web wiki, this software is "OFFLINE" Yes! You can opened without internet connection. Because an Auto Update features just active when you have Internet Connections, interesting right? Q : How to Update this Client if have a new version? A : When an Auto Update Notification appear, you must click Yes, then put that file anywhere you like. 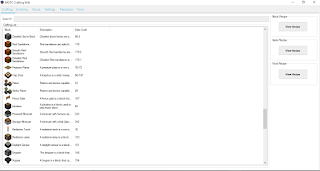 After that, extract that .zip file into your MCPC Crafting Wiki folder older version. Always remember, you must extract it!